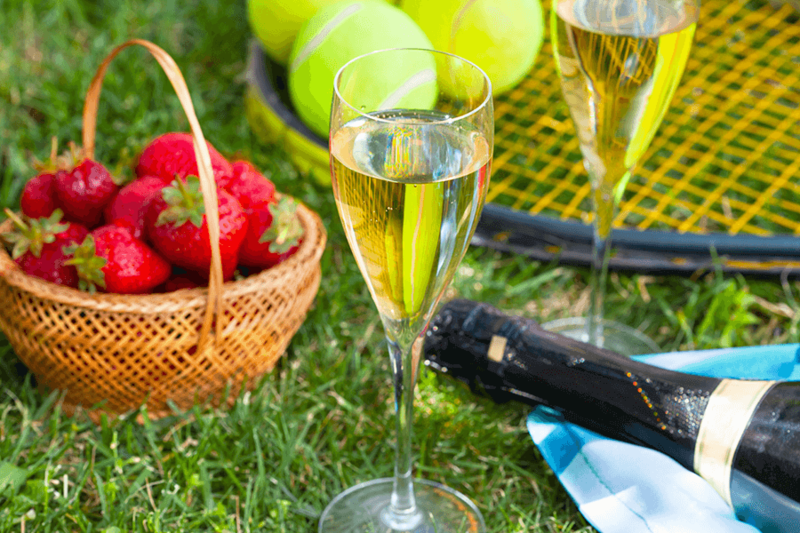 Long summer days, Pimms, strawberries and cream… Wimbledon is the perfect excuse for a hot tub get-together with family and friends. After all, apart from tickets to centre court, what better way is there to enjoy one of the world’s greatest sporting spectacles than from the comfort of your HotSpring spa? With qualifying beginning 20th June and The Championship set to start 27th June there’s still time to get things organised, with crystal clear spa water top of the party prep list. Getting your hot tub party ready needn’t take excessive time or budget. HotSpring’s unique ACE® Salt Water System uses patented diamond electrodes, to give a natural power-boost to hot tub cleaning. Meaning your spa water is easy to care for and looks, feels and smells great. 1. Time for you: Spend less time preparing your spa and more time enjoying it. The ACE hands free system automatically generates chlorine and other cleaners for a set amount of time each day, based on your input. Quietly keeping your spa water clean, whilst you cheer on the players. 2. Environmentally friendly: Enjoy fewer chemicals and more natural spa water. Only the ACE system creates “active oxygen” and other powerful cleaners from just a little bit of salt and your spa water. So, there are fewer chemicals added. 3. Summer skin confidence: Forget about dry skin, irritated eyes, or nose curling chlorine odour. Using patented diamond technology, only the ACE system eliminates contaminants that impact water quality. With silky soft spa water that looks, feels and smells this good your friends will remember Wimbledon for all the right reasons. Discover more about the unique patented technology behind the HotSpring ACE Salt Water System, in our video. Talk to us about our 0% Account or Deferred & Preferred Account options, and create your home spa. Then dim the lights, turn off your mobile-phone and enjoy your personal paradise. *HotSpring Interest Free Account and Deferred & Preferred Account is provided by Barclays Partner Finance.